Sunset, sunrise, cloudy, windy, sunny, rainy….. endless variations to colour and texture all heightened by its location to the wet stuff. There is a magic to water in its sparkle, reflection and movement adding depth and life. The clouds and rain, a blessing in disguise on my second attempt at shooting the infamous Great Ocean road. Always looking for something a little different to the standard shots but torrential icy rains were a bit much the first time around. Light clouds on sunset made for a soft beauty that travelled from the clouds to the depths of the water. The colours and textures come alive on the sandstone cliffs and adding some of the grasses, and bush tufts, softened the whole feel and heighten the overall experience. 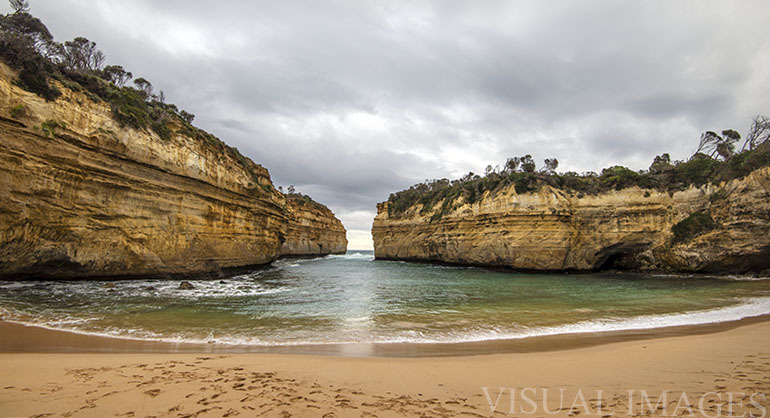 "ENTER" Loch Ard Gorge Beach, Great Ocean Road, Victoria, Australia. The soft light of early morning is welcoming, while the sandstone cliff weathered lines draw you to the point of first light, and back into the smile like tide wave. Creating movement and emphasising the journey through the image and the experience. It’s a big ask to make this shot unique considering the record-breaking number already taken. However, there is a richness to the cliff faces on an overcast day that you don’t usually get when the sun shines. While the fly size helicopters emphasize the grandness of scale and subject. Still a beautiful scene however you look at it. 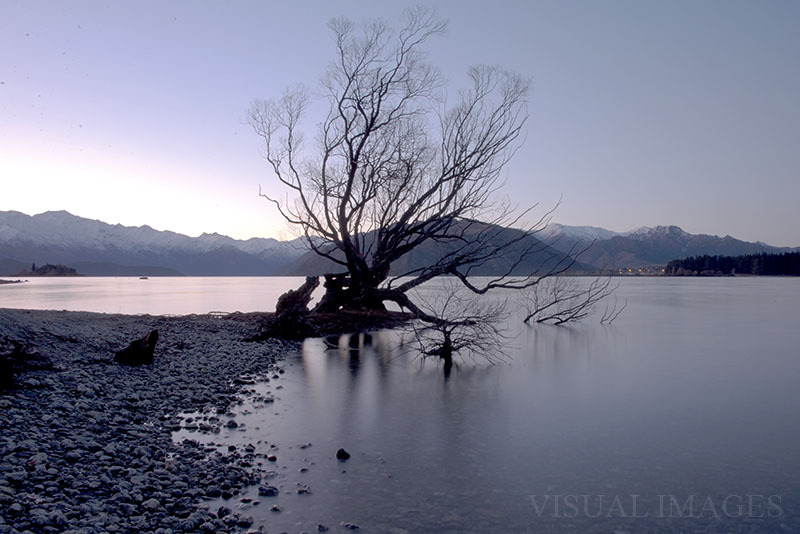 "BREATH" Wanaka Lake, Wanaka, New Zealand. A slight sidesteps from Australia found me up to my knees in the cold stuff. New Zealands snow covered hilltops and an early morning walk brings me to a view that transfixes you in place and awe, to exhale a breath for a moment of pause. 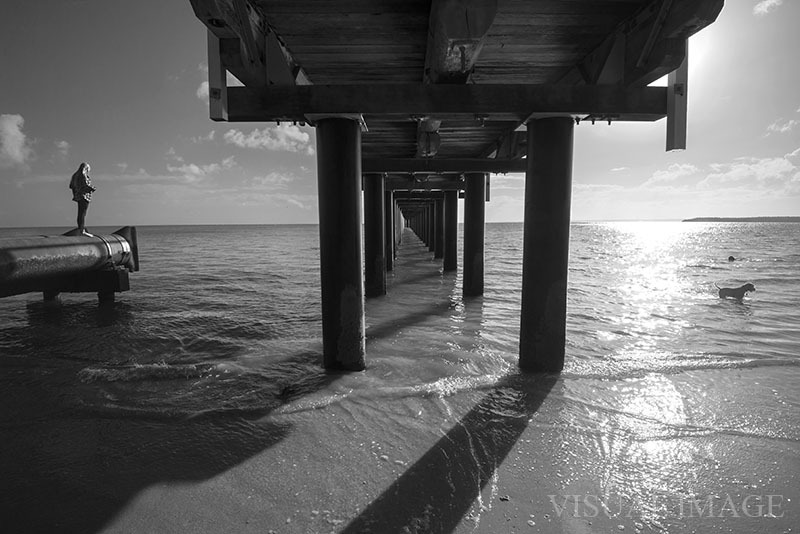 The jetty view is one of splendor but like many seen before. From below our view has depth, wander and thought-provoking reality. Looking outside the box. The Magic of the Great Ocean Road. The Bay of Islands may not be the most famous but on sunrise and slow tide, it seems even more beautiful than its infamous counterpart. 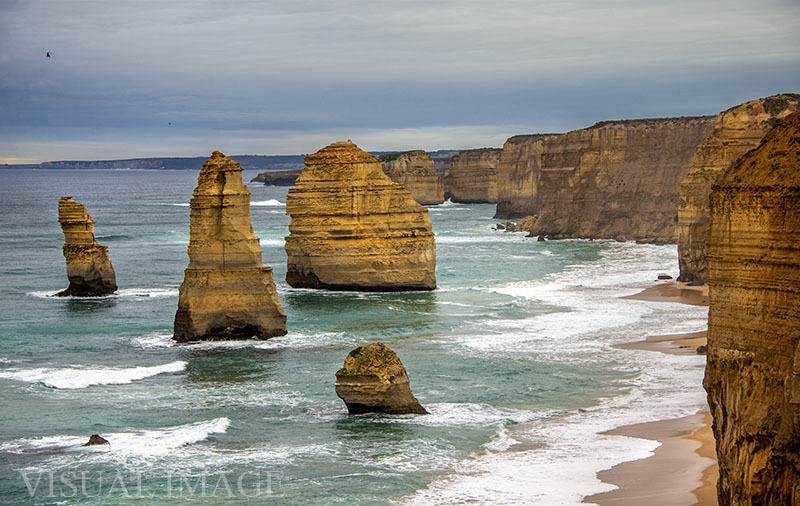 A gem among many, soft pastel skies and silky waters contrasting against the harsh beauty of the sandstone cliffs.
" THE ART OF NATURE "
The moment when the sky reaches the water and that which is in between becomes a moment of beautiful confusions. As the sun sets the water stills in a silence becoming of the hard day past, and a new life is born from the same view. The reflection still with colour is now full of pattern, like some mind game of sorts, an abstract, an art piece.This is a view that only in drought can be seen, the tidal markings evident as I walk where I did once swim. Guided through the crock waters to safety on sunset. A candid shot of animal hierarchy and social duty. Like soldiers saluting at sunrise they stand the test of time, warn and battered but holding fast. A structured stability, against the fleeting colours marking the start of a new day.